It is common knowledge that more frequent blog posting improves search engine results performance based on Google’s desire to provide its users with fresh content. However, you may not fully realize the impact that more consistent blog posting has on your ability to generate site traffic and leads. Recent data indicates that blog posting frequency has notable influences on site traffic and leads. Fully understanding this relationship will allow you to optimize your own publishing frequency and approach. First, consider the significance of the challenge faced by companies in trying to attract qualified leads. A recent HubSpot report showed that nearly two-thirds of marketers and salespeople believe attracting traffic and leads is their greatest challenge in marketing. 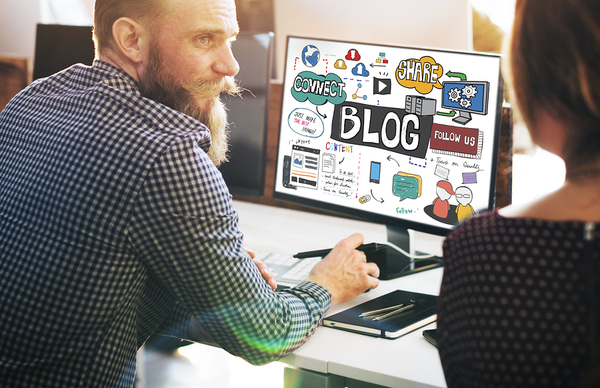 Blog content is one of the most important platforms available within your content marketing strategy, which is key for traffic generation in the digital era. The general rule of thumb with blog-posting frequency is the more the merrier. The more content you post on your site, the wider the net you cast to connect with potential customers as they conduct searches. Additionally, you demonstrate to Google that your business is committed to offering consistent, quality content on key topics. Two or three blog posts per week has been generally regarded as a good basis for meeting basic post-frequency standards. However, HubSpot data indicates the minimum threshold for optimization is actually a bit higher. The firm reported that businesses publishing 16 or more blog posts per month achieved 3.5 times more traffic than those publishing four or fewer posts. Given clear data that more frequent blog posting is better for attracting traffic and leads, it seems simple enough to schedule three to five blog posts each week. However, your business has to find the right quantity-to-quality balance based on your expertise and available resources. If you try to push too many articles with limited time and expertise, you risk publishing a lot of posts that don’t meet the quality expectations of users or search engines. In the long run, this emphasis on quantity over quality is not good for your business. The right answer for your company to optimize its posting frequency may be to post two or three times per week. You might also look to optimize your execution by partnering with an expert firm that can support your efforts to meet higher standards of consistent, quality content production. With a partnership, you could post more frequently and as long as your posts provide information and resources that are useful and relevant to targeted prospects, there is little risk of overdoing it from a user consumption perspective. Given the significance of blog posting in the content and digital marketing world, you can’t take this data lightly. If you lack the internal resources to build and maintain an effective content strategy, consider partnering with an expert digital marketing firm like Response Mine Health.